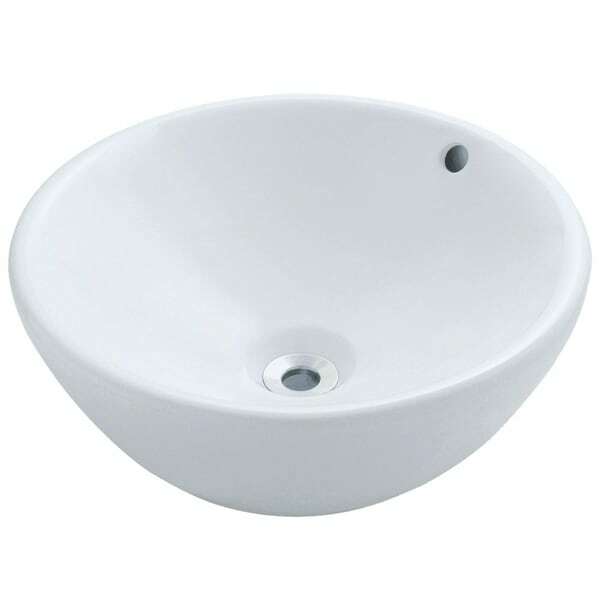 The V2200 porcelain vessel sink offers a unique, modern look for any bathroom. It is made from true Vitreous China, which is triple glazed and triple fired to ensure your sink is durable and strong. Because this sink is a vessel, no mounting hardware is needed. The overall dimensions for the V2200 are 16 1/8 x 6 3/4" and an 18 minimum cabinet size is required. Vessel sinks require a special spring-loaded pop-up drain, which we offer in a variety of finishes to fit your decor. As always, our porcelain sinks are covered under a limited lifetime warranty for as long as you own the sink. One year ago in November I had two of these bowls installed...last week one started leaking beneath it...once we got it apart we found that it had a crack in the bottom that had been covered up by the maker. It was fixed with a putty type sealer that broke loose and nearly destroyed my vanity which is an antique dresser...I am a year out of return but just wanted buyer beware. The second bowl is also having issues with drain and seal leakage at the base of the bowl!. Very disappointed in the quality.